Every superstar begins with a dream. Truer words have never been spoken and I can't think of a more fitting billboard to help celebrate the first anniversary of Daily Billboard, which was born a year ago on January 22, 2010. 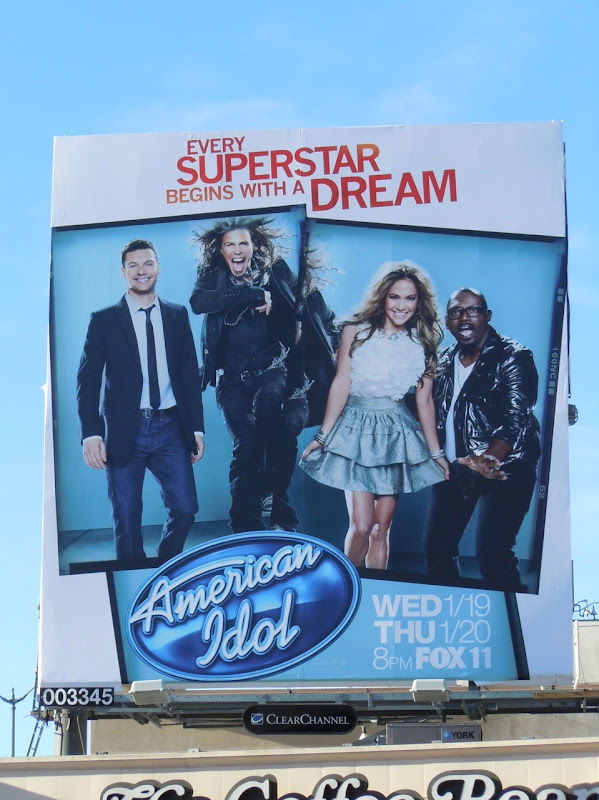 Aerosmith's Steven Tyler and pop diva Jennifer Lopez, join Grammy Award-winning producer Randy Jackson and American Idol host Ryan Seacrest, as season ten's new high-profile judges and you can't help but feel this show has now become more about the judges comments than the contestants trying to get their lucky break. 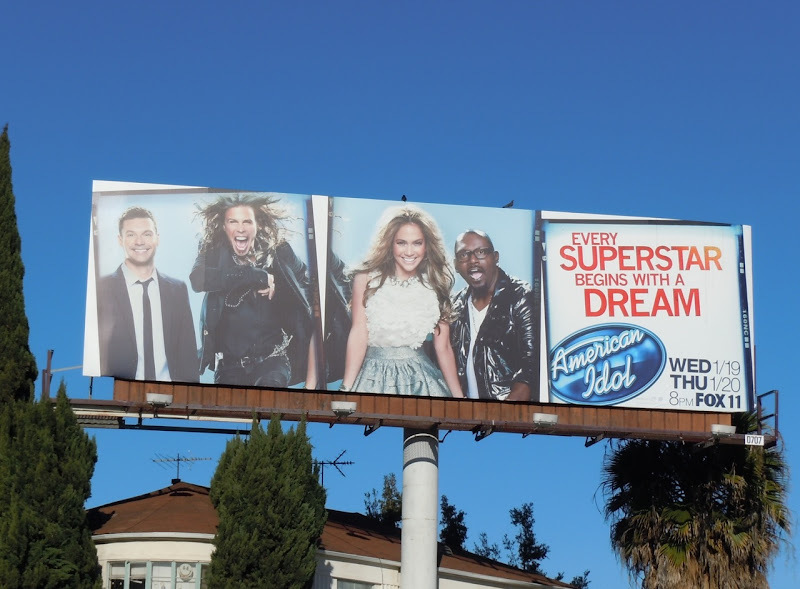 This square format American Idol tenth season billboard was snapped at the intersection of Beverly Glen Boulevard and Santa Monica Boulevard in L.A. on January 12, whilst the standard landscape version photographed along La Cienega Boulevard on January 15, 2011. I dream that Daily Billboard will continue to go from strength to strength in the future, continuing to entertain and delight anyone who enjoys the best film, TV, fashion, technology, drinks and other cool billboards lining our skies. 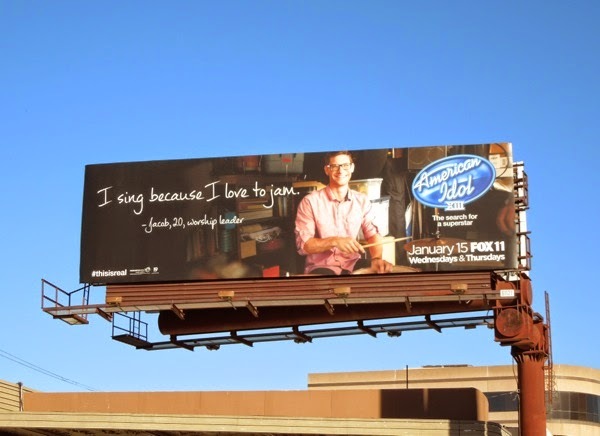 Here's to another year of fantastic billboards every day. UPDATED: By the thirteenth season high-profile judges had come and gone and the show was trying something a little different to attract viewers, by focusing on the contestants and their motivations in the singing competition, rather than the drama of the judging panel. 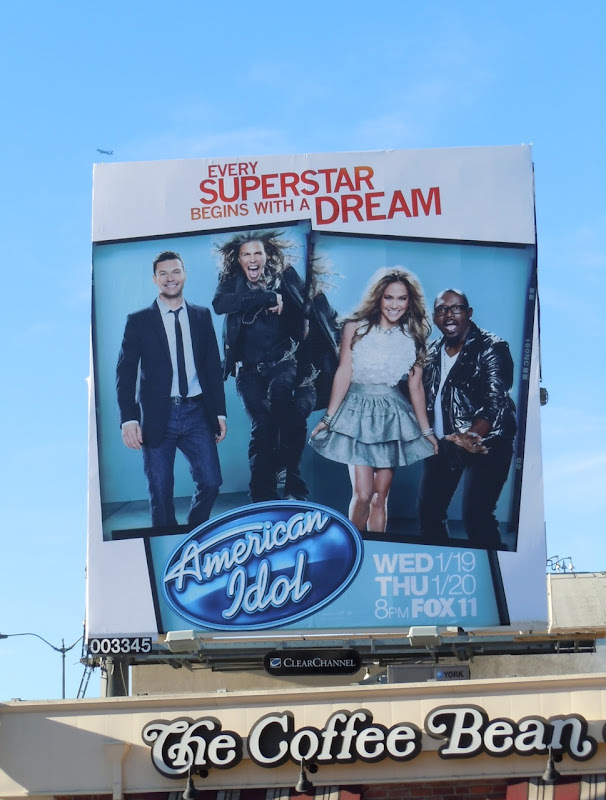 These season thirteen billboards were snapped along L.A.'s Fairfax Avenue on January 16 and along Ventura Boulevard in Sherman Oaks on January 29, 2014. 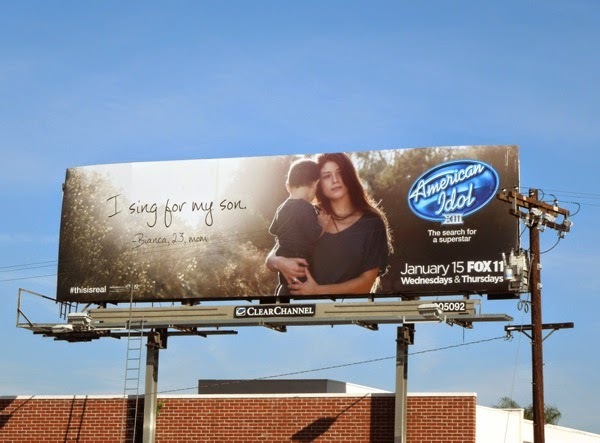 Even this change is advertising strategy couldn't help the tired format, with many challengers, as the American Idol achieved its lowest ever ratings this season.